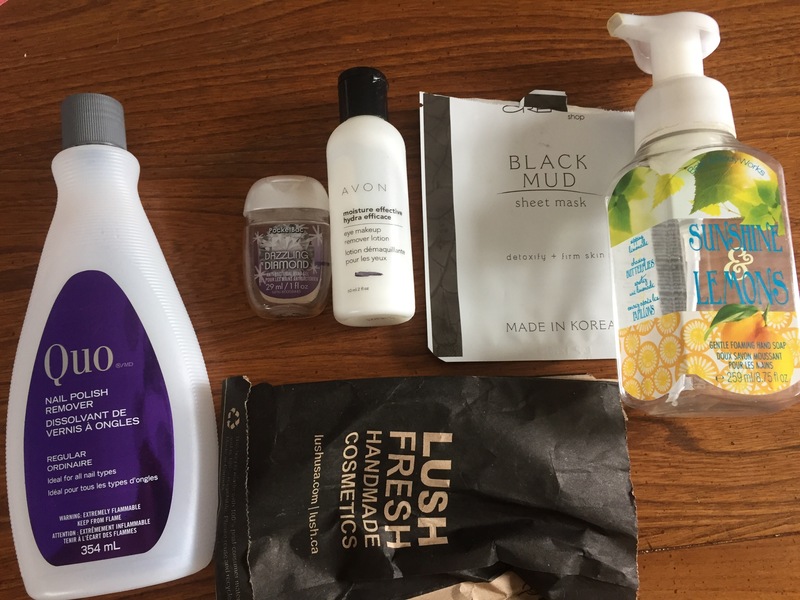 First up, the empties! Okay I know there are barely any but it is better than nothing so I’m okay with this… mostly. It’s summer time and I don’t really wear makeup as often so I’m not surprised. I did still make some progress on stuff so I’m happy. I finished a product from my project but also a few other ones with them. My Secret Escape spray is coming along nicely! I’ve finally remembered to actually use it every day so the progress has been noticeable. I’ve still been using this Berry Flirt lotion sporadically but I was surprised by how much progress I still made! Same goes for the lipgloss! 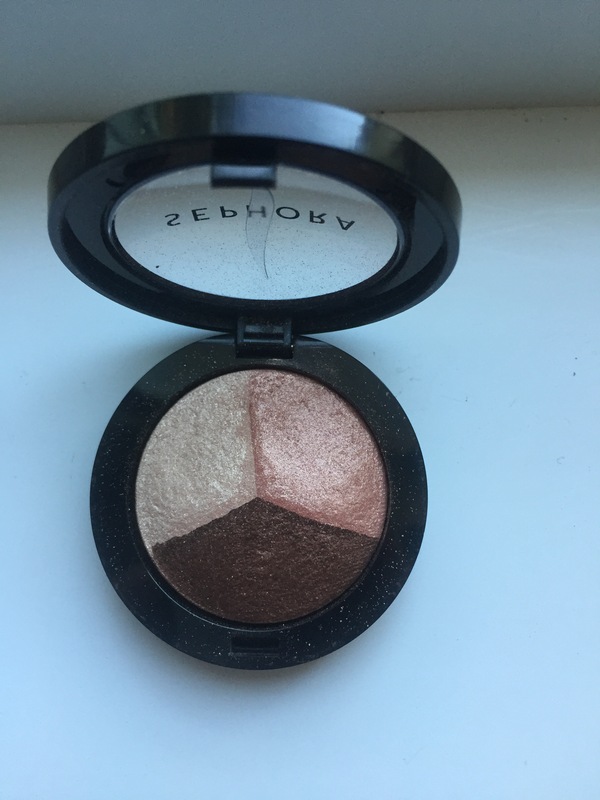 Other than that there isn’t much going on here.. I’ve made a little bit of a dent in my eye shadow trio which I am over the moon about! 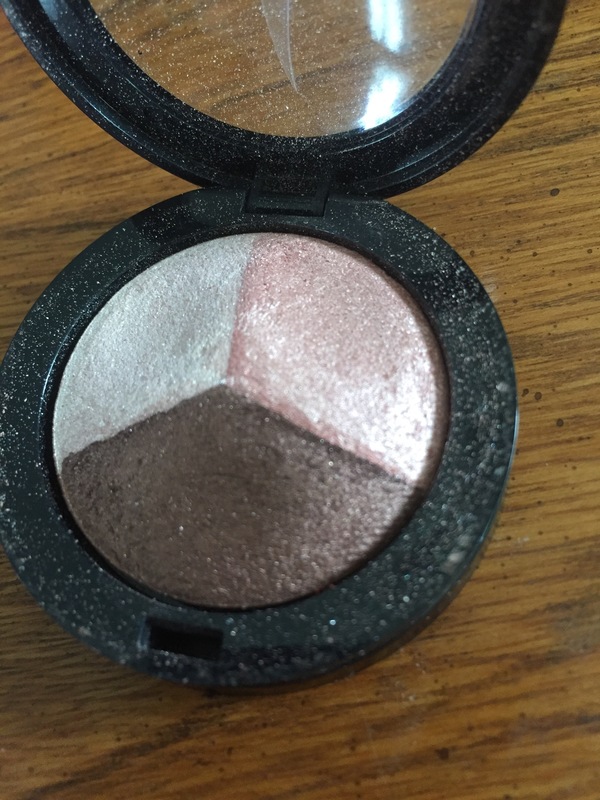 I’m horrible at panning eye shadow so to actually see any signs of progress has be happy dancing. I’ve been using the trick I read about and it seems to be working. Start in the middle of the colour and keep taking from the same spot. You don’t have to but it is helpful when you want to see a difference and have it keep motivating you. I had a small purchase this month, I did much better than the past few months for sure! 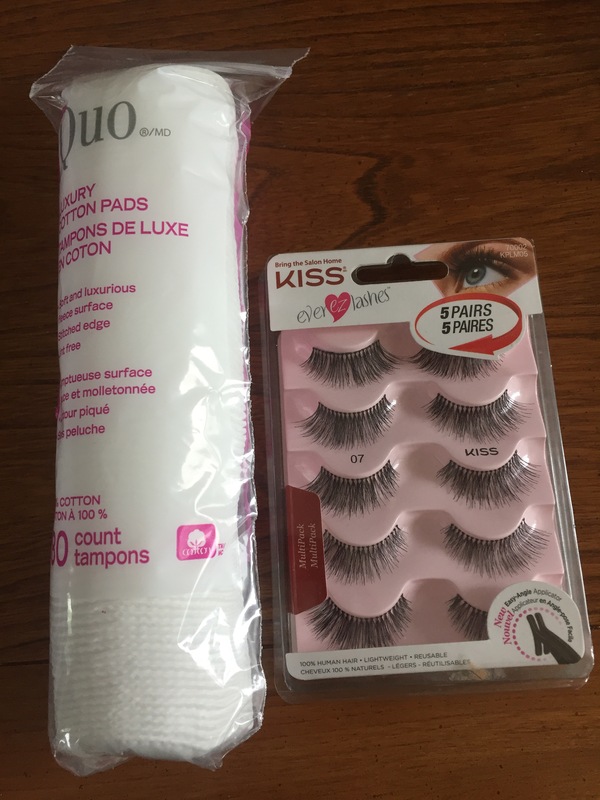 I picked up a pack of these lashes from Walmart for about $13 CAD. I thought that was pretty good for 5 pairs plus an applicator. I sort of needed them for a photo shoot I had.. Okay so I didn’t NEED them but I wanted them for a reason so I didn’t buy them for nothing. I also picked up some more cotton rounds because I only have a couple left. I am finding it easier to work with a larger amount of products in this project compared to the smaller sized ones I was doing previously. I feel like I have more to work with so I’m not getting fed up with or annoyed with anything…yet. I finally learned something new about panning as well! I thought my face wash was finished but apparently not! 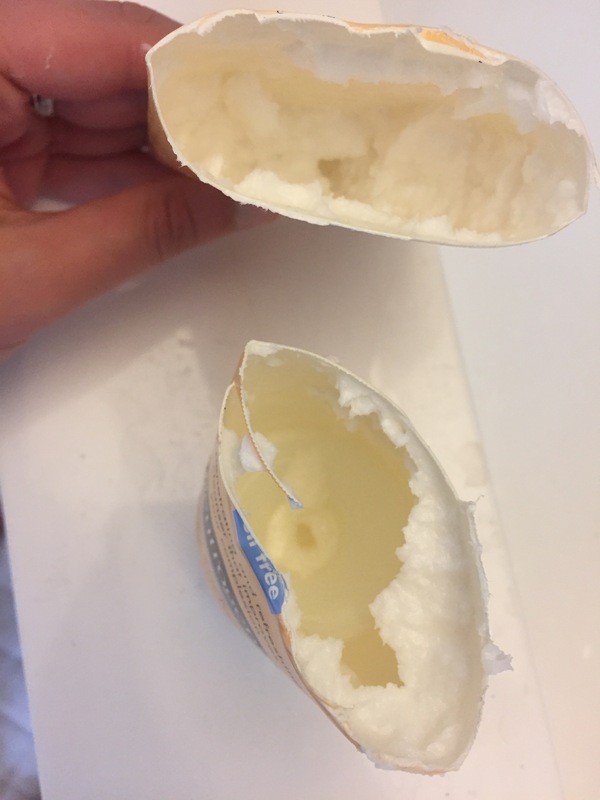 I saw someone cut their lotion open and thought I would try it too. There is so much more left than I thought there would be! Depending how often I use it, this might last me another month. That’s good to know for tube products like that! Any tips or tricks you guys have tried? Let me know! Yeah, I’ve been using the cutting open the tube trick since high school. I only use it on products that I like though. If I didn’t care for it, I don’t cut it open. I just don’t want to deal with it anymore. Lol. If you use lotion once 5 days a week, you can go through an 8 ounce tube in about a month. I’m almost done with my 6 ounce tube, but I’ve only been using it 3 or 4 times a week since it’s summer and sometimes it’s too heavy. I can go through a 4 ounce tube in 2 weeks by using it 5 days a week. I roughly go through one 6 to 8 ounce lotion a month, depending on the size that I’m using at the start of the month. I have a lot of stretch marks that happened in labor from roughly 10 to 12 hours of active pushing. I didn’t have any until that point. So, Iike to use lotion to soften their appearance.